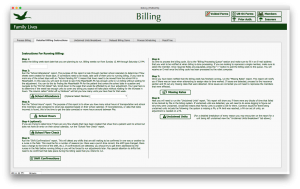 The Support Group has been working with Family Lives for several years, helping them with complex billing requirements designed and developed using FileMaker Pro. Because of the nature of their clients and the myriad of ways in which they are reimbursed for their services, off-the-shelf software was not an option. Their complex system requires iterative, multi-tiered algorithms to produce their invoices. Carolyn Brennan runs daily operations at Family Lives and ensures compliance with state and federal regulations and requirements. She is tireless in her efforts to provide these important services. A few years ago, Family Lives and other similar organizations learned they would have to track and submit all of their medical forms electronically. Because of the complex needs of their clients, many of these forms run dozens of pages in length. Up to this point, Family Lives had lived in a paper-based world. Forms were literally ordered a truckload at a time, costing hundreds of thousands of dollars a year. Information had to be manually entered into various other internal systems, including payroll and billing. Then the forms were often copied and sent to respective insurance companies and government agencies. Family Lives also has to comply with Massachusetts state law and the Health Insurance Portability and Accountability Act (HIPPA), which stipulate specific data storage and protection requirements for providers. Our team worked very closely with Carolyn to determine what data needed to be collected based on their existing paper-based forms. Nonetheless, Carolyn and Family Lives used this project as an opportunity to enhance the information they collect, adding many important medical details to their forms. Currently, their treatment sheets, covering dozens of areas of healthcare, can be upwards of 80 pages. Medication sheets can run dozens of pages in length. All of this data is tracked by the provider for each patient within a single 8-hour shift. The amount of information they need to record is staggering. As the system was developed, both the management and treatment staff at Family Lives realized more ways in which this system could improve the quality of care and reduce the administrative overhead of their organization. This resulted in the development of many, many more tables and fields and layouts. 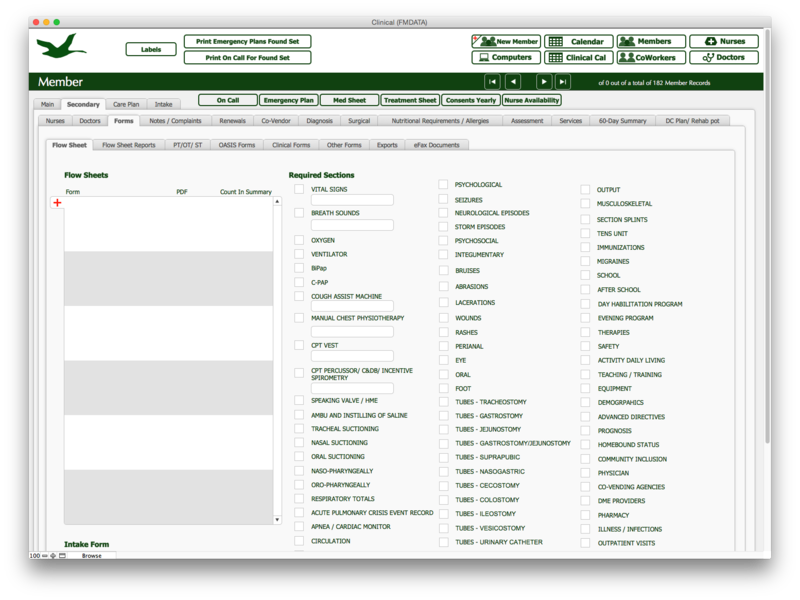 Because the FileMaker platform is known for its scalability and flexibility, we were able to enhance the system with relative ease. In so many database environments these types of changes would require massive code changes or complete rewrites. Family Lives has reaped the rewards of this undertaking in many ways. Gone are the days of buying paper forms a truckload at a time. They have improved the efficiency of third party billing, increasing revenues per service by over 20%. They are able to retrieve archived medical records in minutes, as opposed to spending days looking through boxes of stored records. The management reports they receive help them better analyze the quality of care they provide and better understand the needs of their nurses and clients. Recently they decided to add yet another module to their system to help streamline their internal operations. 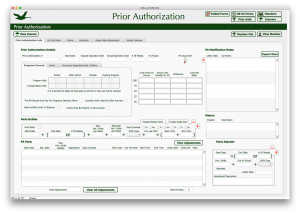 Historically payroll had been a very laborious and manual process, again requiring re-entry of data collected from paper forms. 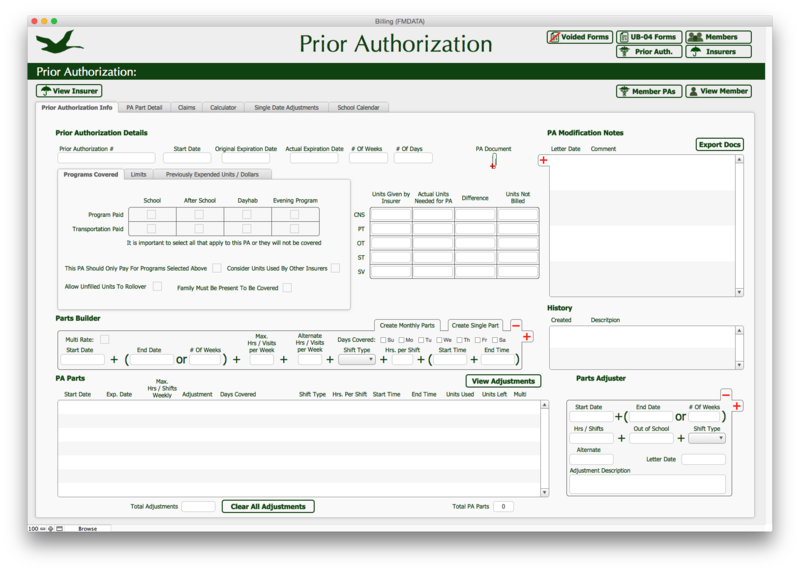 First, our team of FileMaker developers was able to extend their system to produce paper reports calculating their weekly payroll inputs. Then we created an export file that is uploaded directly to their payroll service. This process saves them significant time and also reduces errors. Carolyn and her management and nursing teams at Family Lives are heroes. Their task is difficult, but they are a very caring, giving and kind group of folks that help families in need. The Support Group works with lots of companies to help them improve their business operations through software, but this client clearly has one of the most important missions. They help their young clients and their families with significant medical needs. There really is nothing more important. 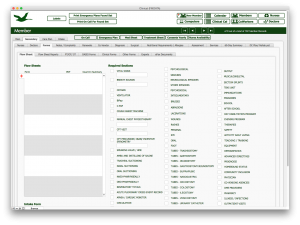 We are just happy that we and FileMaker Pro can help in some small way.